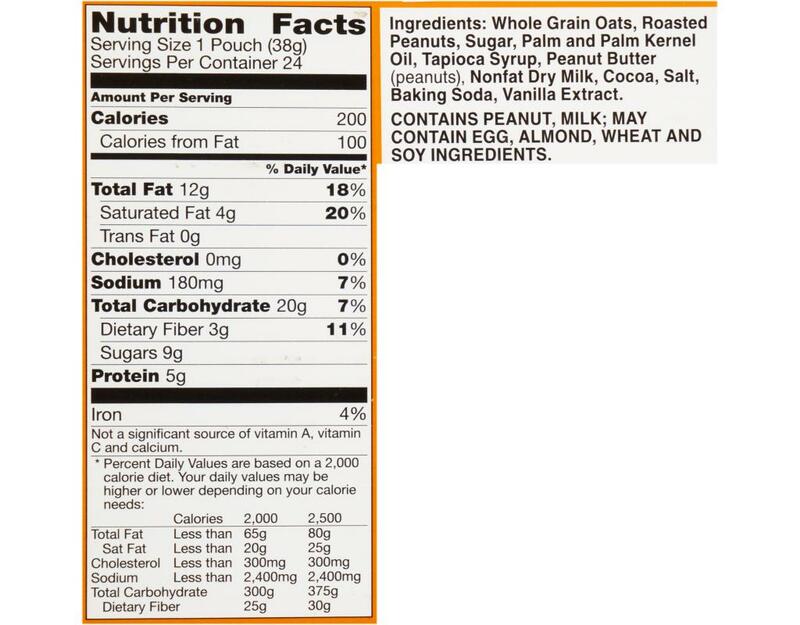 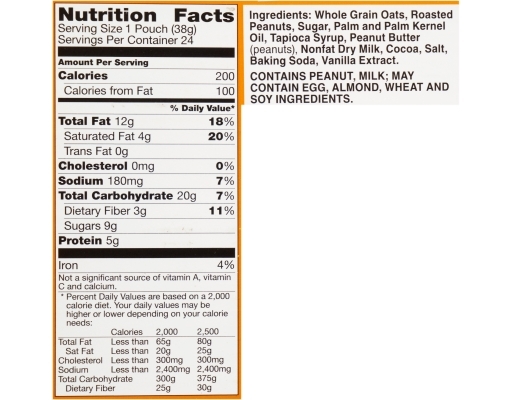 Nature Valley paired the decadence of nut butter with the wholesome goodness of whole grain oats and nuts to create a new kind of indulgence. 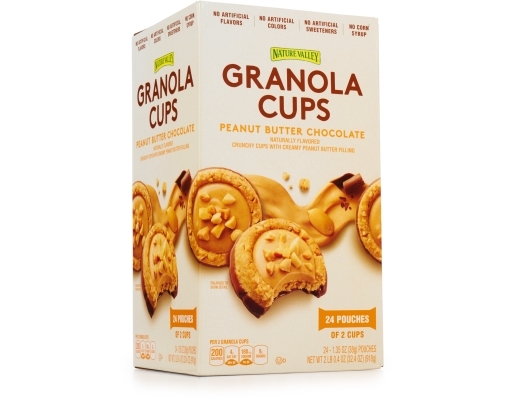 Peanut Butter Chocolate Granola Cups: Energize yourself. 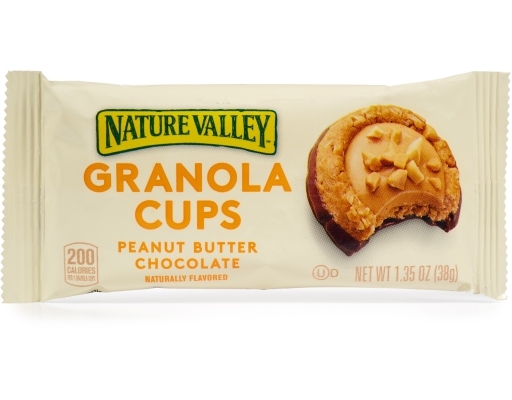 And indulge yourself. 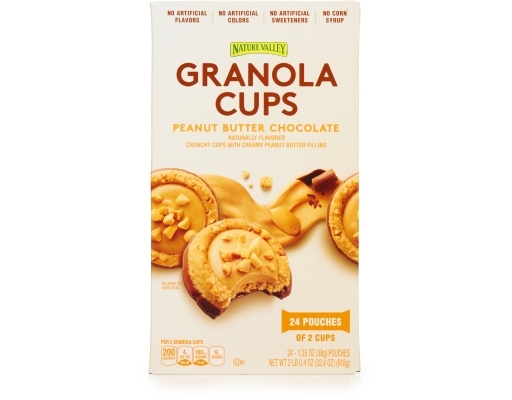 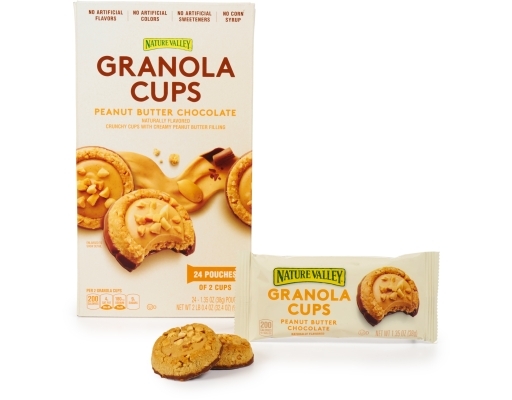 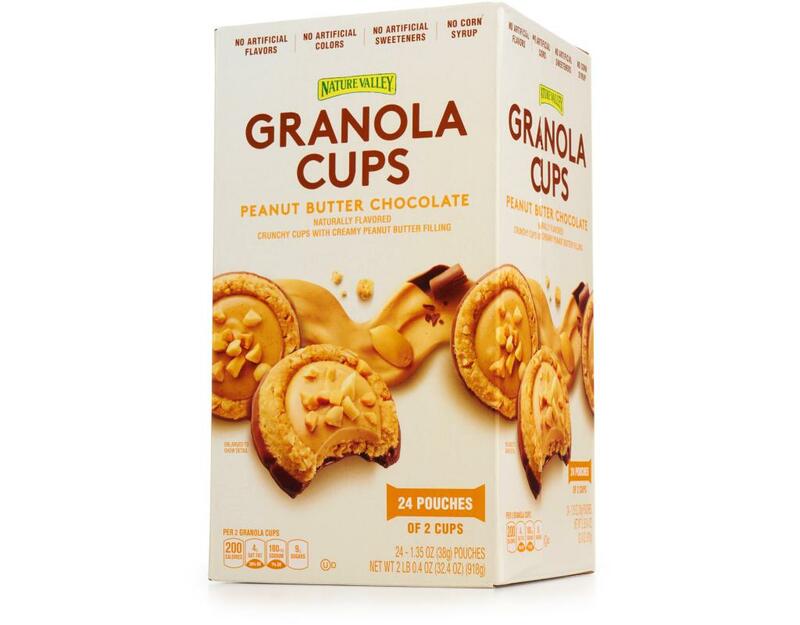 Crunchy granola cups dipped in chocolate-flavored coating and a dollop of smooth, creamy peanut butter filling, topped with peanuts.